If you’re getting bored of Facebook, Twitter and Instagram, you’re obviously not the only one, as there are so many more social networks out there that are still managing to tempt new users away from the social media giants. With users tiring of being trolled on Twitter, there are social networks popping up everywhere trying to help get rid of the ability to post anything negative online, while other websites are making users anonymous, leaving people feeling safer and able to speak more freely about their feelings. We’ve chosen our favourite four emerging social networks that we think you need to know about, so you can stay ahead of the game. Are you tired of being judged for venting on Facebook or only writing a cryptic tweet, expressing your feelings through song lyrics, so you don’t have to let everybody know your issues? Launched in late January this year by David Byttow, 32, and Chrys Bader-Wechseler, 30, Secret allows you to share your deepest, darkest secrets with Facebook friends and contacts, without them ever knowing it was you. You can also reply anonymously to other people’s secrets, in order to give advice or laugh about something they’ve said. The app is being used to confess a guilt, to rant about a friend or family member, or to simply laugh over an embarrassing moment – without attaching your name to it, but the really interesting way it’s being used is by people writing rumours about big brands they work for. For example, ‘After Instagram launched, Apple cut them deal where they would be kept near the top of the charts in exchange for not creating an Android version’. Although there are no official figures on the current number of users, according to The Independent Singapore, the creators of the Silicon Valley startup have said it’s ‘fast-growing’, raised US$25 million in venture capital earlier this year, and is expanding internationally – in Russia, the Netherlands and China. 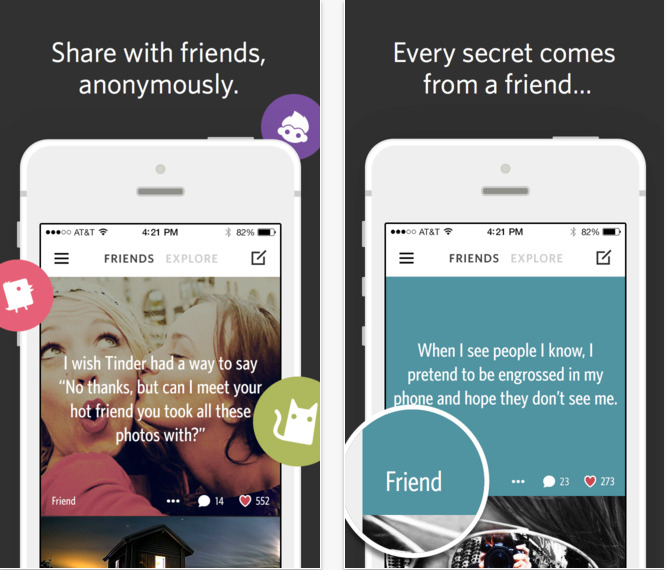 Download Secret for free on iOS or Android. 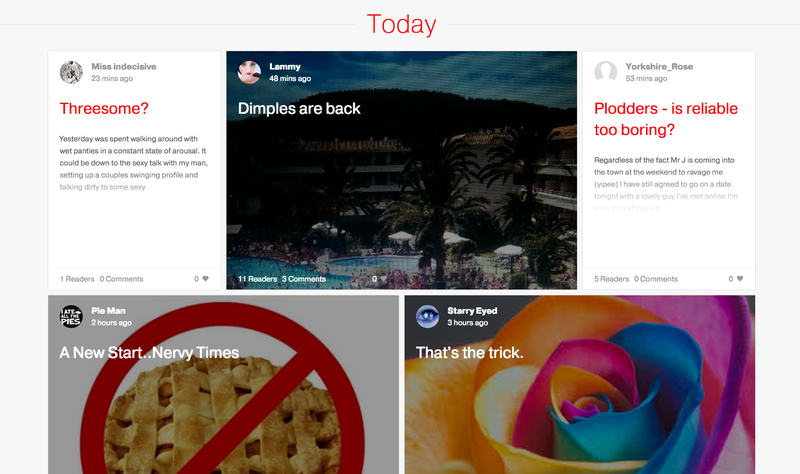 Co-created by John and Sam Shahidi, and released in November 2013, Shots is a social network made up entirely of selfies! There’s no way of posting comments, so no chance of any trolling, and the only way to speak to people is through sending selfies or private messaging your approved friends. Justin Bieber is an investor too, and if that’s not a reason to join, we don’t know what is. The app only allows the use of front-view cameras and users can only take pictures through the app, so doesn’t allow users to upload previously taken pictures.It also doesn’t have a public comment feature over concerns about cyber-bullying and does not post follower counts. In April 2014, CNET reported that Shots had reached 1 million users, with 75% being females under the age of 24, which we’re going to guess has something to do with Justin Bieber! 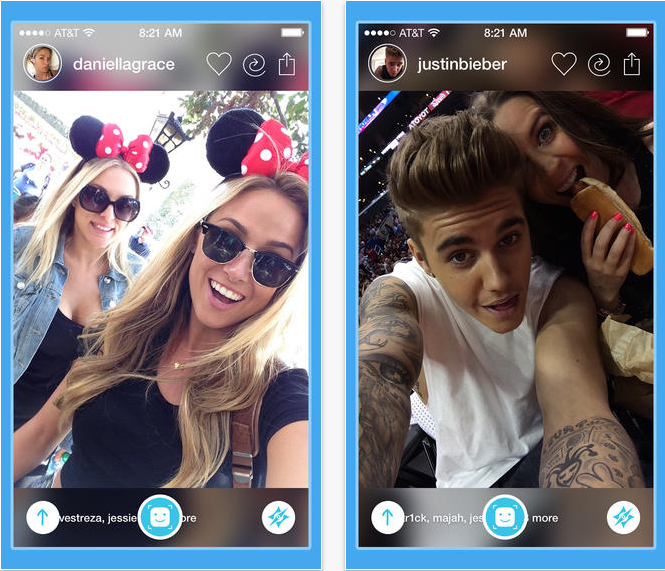 While Shots isn’t available on Android just yet, you can download it from the App Store. Like Secret, Pencourage lets you post anonymously, but this website allows you to write longer diary entries of up to 200 words a day, plus photos, videos, pictures and songs. According to the MailOnline, the voyeuristic site has racked up over half a million page views with more than 3,000 subscribers, primarily women, creating online diaries in which users share their deepest, darkest and often most embarrassing secrets. Unlike Facebook, where users attempt to portray themselves in the best possible light, Pencourage is a platform for sharing the unadulterated truth, and has therefore been dubbed the ‘anti-social network’! Not even staff working on the site are able to see email addresses associated with usernames. There’s no app for Pencourage yet, but you can join the website here. It’s clear that many people who are dedicated to a fit and healthy lifestyle are sharing photos online religiously, so it’s no surprise PumpUp intends to take advantage of this trend, combining personalised workout plans with a photo sharing element to boot. Once you’ve downloaded PumpUp, the app urges you to input all kinds of details about your goals, spare time and workout equipment, prompting you to choose a goal from ‘lose weight’, ‘get toned’, ‘build muscle’ and ‘be healthy’, so it can serve you up with a personalised workout plan. PumpUp works with the time and stuff you have and then walks you through a range of different exercises. You can then rely on the app during and after your workout too, using it to track time spent, activity, calories burned and goals smashed. There’s also a really handy schedule feature to keep you on track and regular tips that are delivered to you as certain elements of the app load up. But what’s PumpUp’s unique USP? 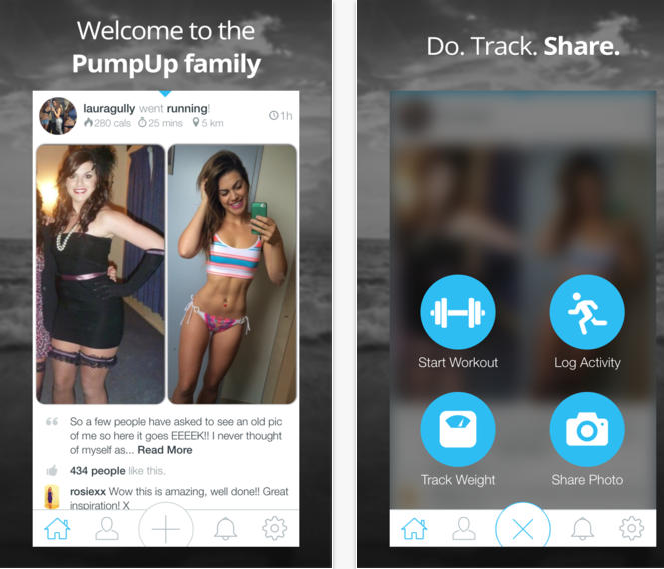 Photo sharing.PumpUp wants its users to share every stage of their fitness journey, including ‘post work-out selfies, progress pics, healthy meals and more’, according its website. In this way it plans on harnessing the enthusiasm people already have for sharing their healthy lives online, but wants to transport it into a single, like-minded community to make people feel more inspired than ever. You can download PumpUp on iOS or Android for free here.